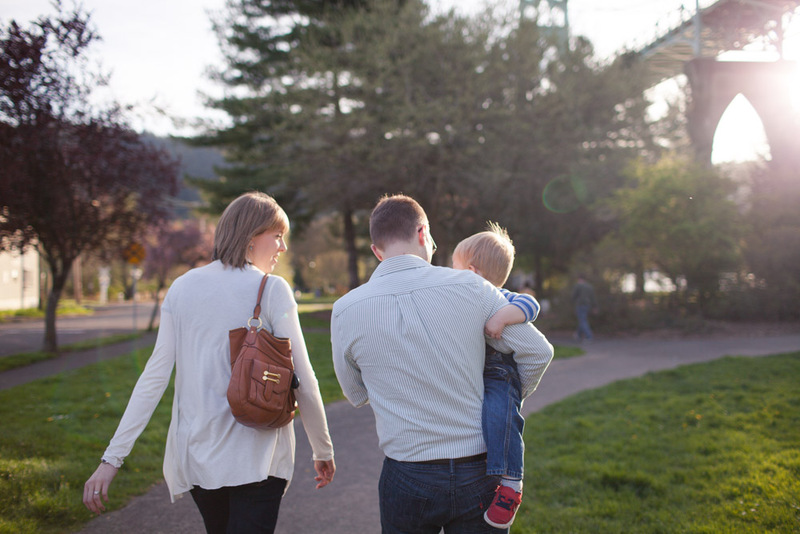 I spent the afternoon with the Estabrooks a couple weeks ago at Cathedral Park capturing some moments in the beautiful golden hour sunlight. Liz and Jonathan are wonderful people and I'm so lucky to be in community with them both. I was honored to take pictures of their beautiful family. Their son Samuel is the cutest and so fully of energy and life. I got quite the workout running around the park getting pictures of him. They don't tell you that photography is a workout but I assure you, it is! We were lucky to book a session when Liz's mom was visiting from England, so you'll see a few pictures with her in here, too. Also, Liz and Jonathan happen to be expecting another baby (! ), so we were able to take some maternity pictures as well. Congratulations you two! I'm so happy for your growing family!